The Sports Performance Center for Boulder County and beyond. 20,000 square feet of state of the art training facilities for you and adult sports – focusing on fitness, personal training and soccer. Three indoor soccer fields with new turf and regulation futsal goals and a large strength/conditioning area with equipment for individual and group training. We are owned by FC Boulder – the largest youth soccer club in Boulder County. 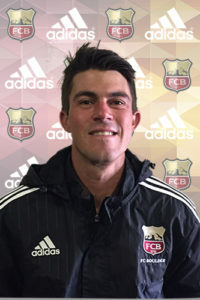 Originally founded in 1979 and re-branded in 2012, FC Boulder has over 35 years of developing youth players at all levels and ages of the game. Many of our alumni play in college or even at the professional level. We have several former players now on our coaching staff and we spend a lot of time and effort integrating with the community – through charity work and other projects for the benefit of our soccer community. Please visit the FC Boulder website for more information here. The Sports Performance Center is directed by Fields Brown. Contact Fields directly by phone (919-880-7925) or email (fields.brown@fcboulder.com) with any questions about the SPC or to reserve field space or birthday parties today!